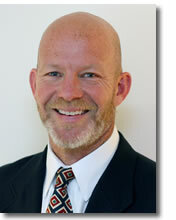 John E. Evans, MAI, SGA is a Managing Director – Real Estate and Business Lending at Leisure Financial Group. John brings nearly 30 years of hotel and commercial real estate experience with large international firms, smaller boutique firms, and has run his own consulting / advisory practices. Prior to joining Leisure Financial Group, John spent nearly 10 years with GE Capital Commercial Real Estate, serving as Deal Leader for 6 years, and the last 3+ years as Senior Valuation Specialist for the Commercial Real Estate portfolio (debt and equity). While at GE Capital, John lead the Underwriting of primarily debt deals for hotel, golf, and various commercial property types across North America, in Mexico, and Europe, helping build an international portfolio of CRE. For the last year with GE Capital, John assisted in the final divestiture of the portfolios, as GE elected to leave the CRE space, and capitalize on high demand for the portfolio in the marketplace. Prior to joining GE Capital, John helped start Summerstreet Advisors, a national CRE consulting / advisory firm, based in Westport, CT. And prior to this, John worked with several national / international firms providing a wide range of CRE advisory, valuation, asset management, and risk services. These firms included the golf group of PricewaterhouseCoopers; US Realty Consultants, a national valuation firm; and Golf Realty Advisors, a national golf advisory / development management firm based in Boston. John also started and runs Active Management, Inc., and owns The Ohio Taproom, and Bean & Barley Coffeehouse and Taproom. John is a graduate of Miami University where he received a Bachelor of Science degree in Organizational Administration/Finance. He is a certified Six Sigma Green Belt and is a Member, Appraisal Institute, and member of the Society of Golf Appraisers.